From where do people expect their salvation in this day and age and before which “institution” do they feel the need to justify themselves? The essays in this booklet are designed to stimulate discussion on the reasons for unrelenting exploitation of the Earth’s natural resources and our response from a theological point of view. The project “Women on the Move: From Wittenberg to Windhoek” (WMWW) celebrates the leadership and participation of women in the ongoing Reformation 1517—2017. How can Christian and Muslim ethical and theological reflection contribute to the wider discourse on human beings and actions, freedom and responsibility? A collection of essays seeking to attend to such questions as, How can the Bible be read in ways that strengthen the community of readers and their faith, witness and service? 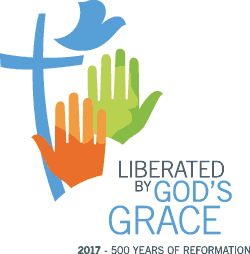 The report of the Special Committee “Luther 2017: 500 Years of Reformation” submitted to the LWF Council in June 2013 provides a framework for anniversary commemorations and program planning.